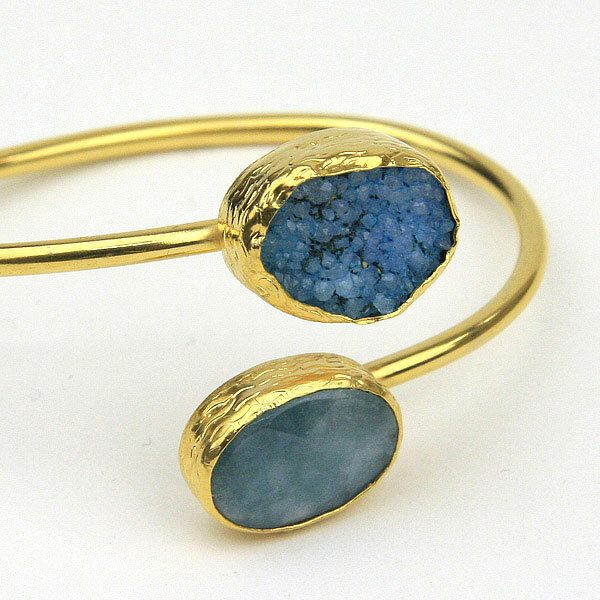 A 24k gold plated bangle with aquamarine and druzy stone detailing. 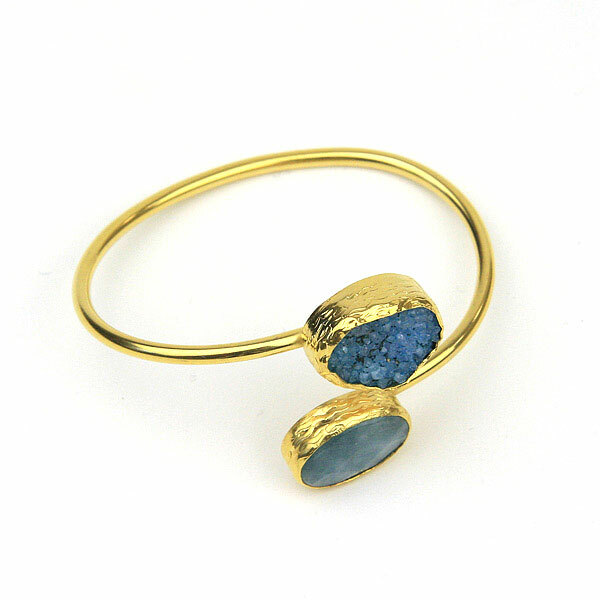 The material of the bracelet is: 24k Gold plating onto base metal with Aquamarine & Druzy stones. The length of the bracelet is approximately 9cm. Colour of bracelet: Gold with green and blue stones.